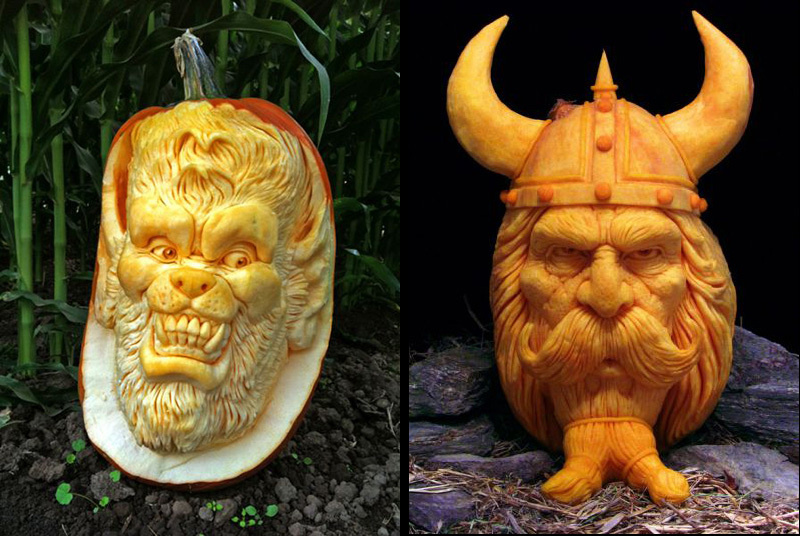 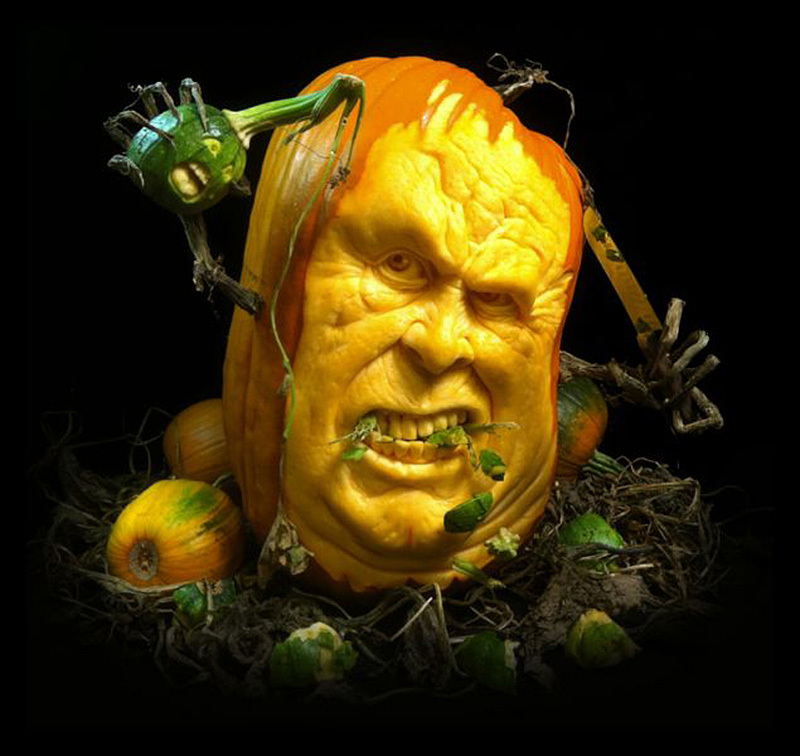 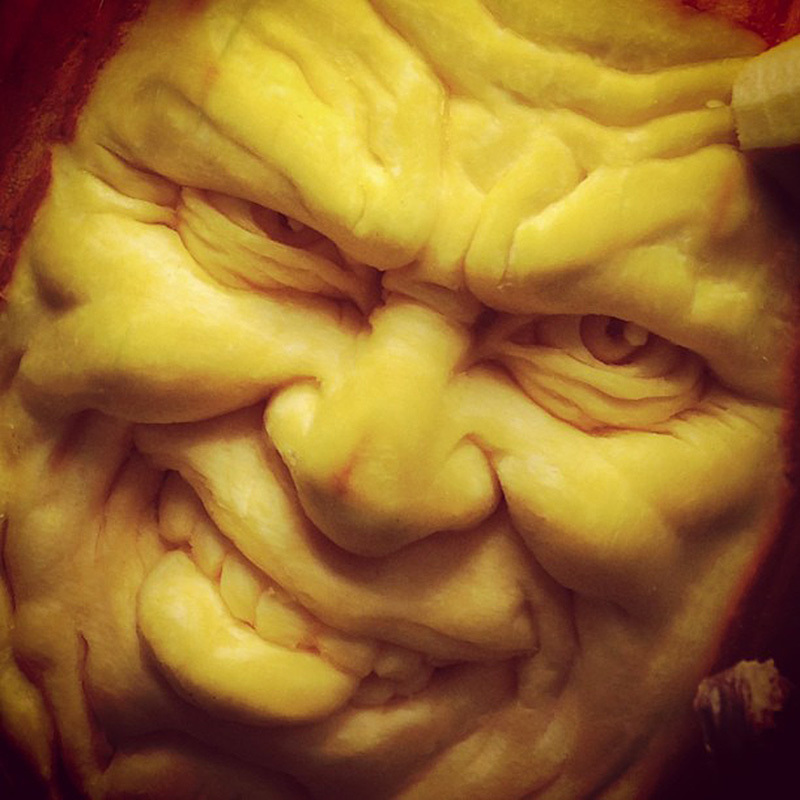 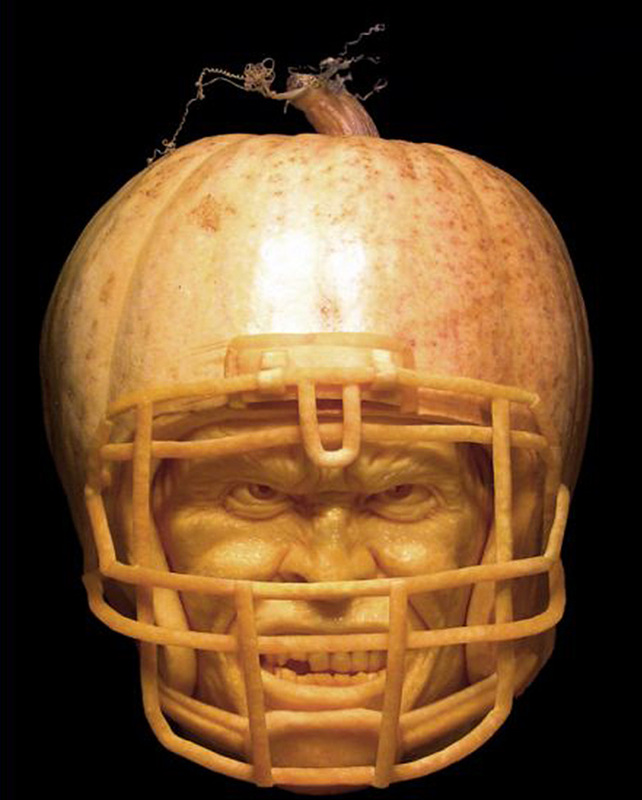 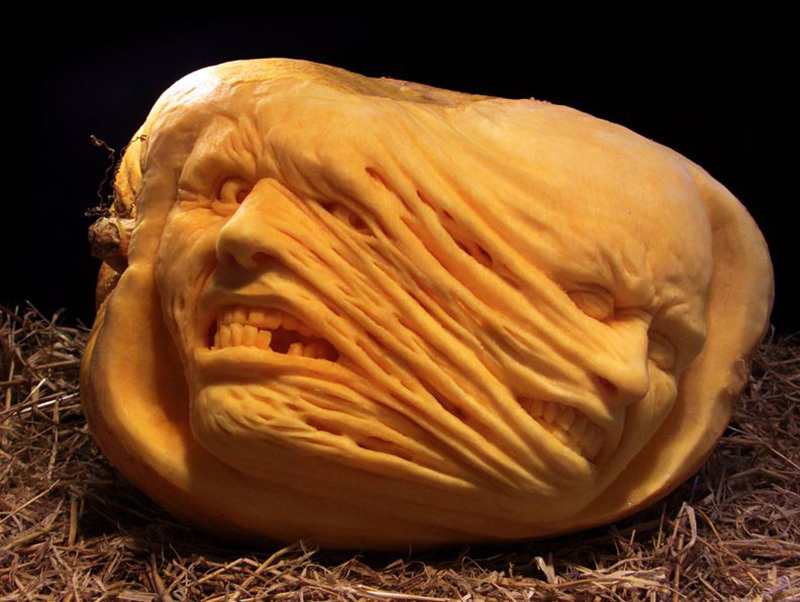 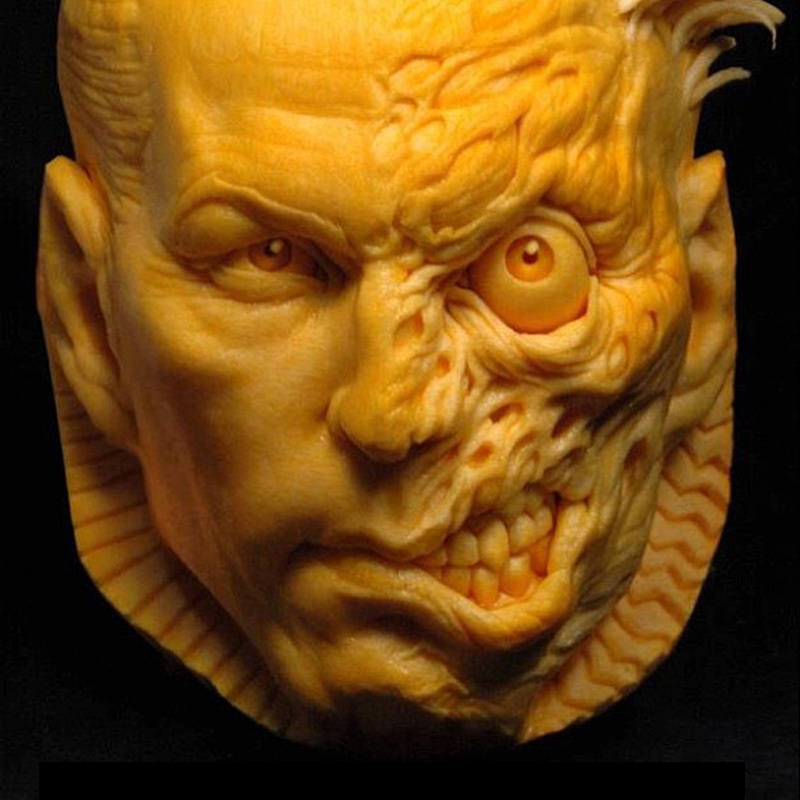 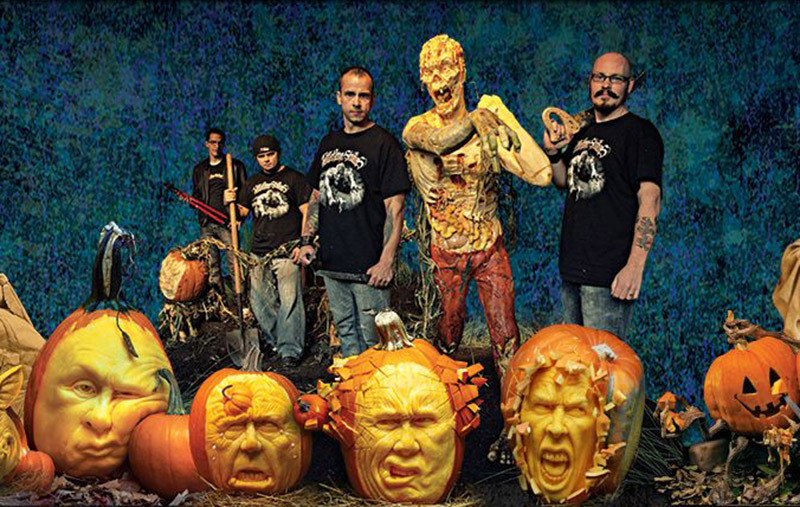 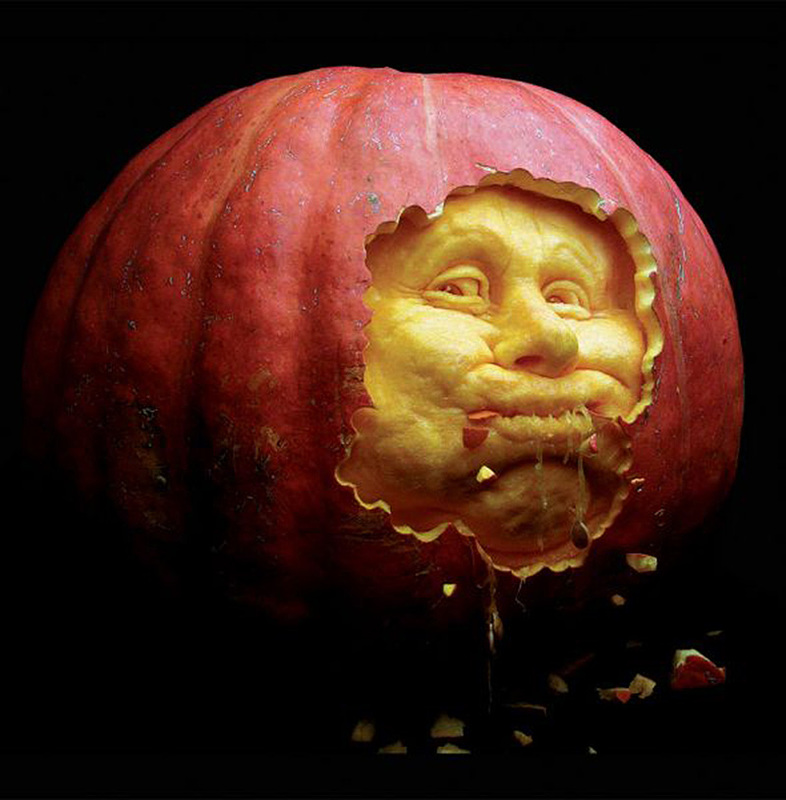 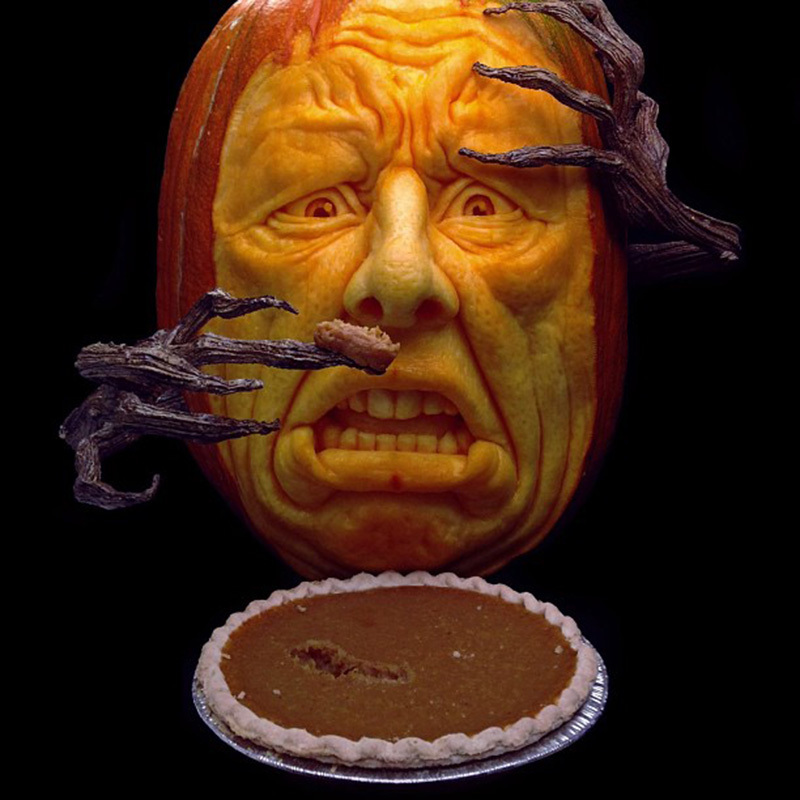 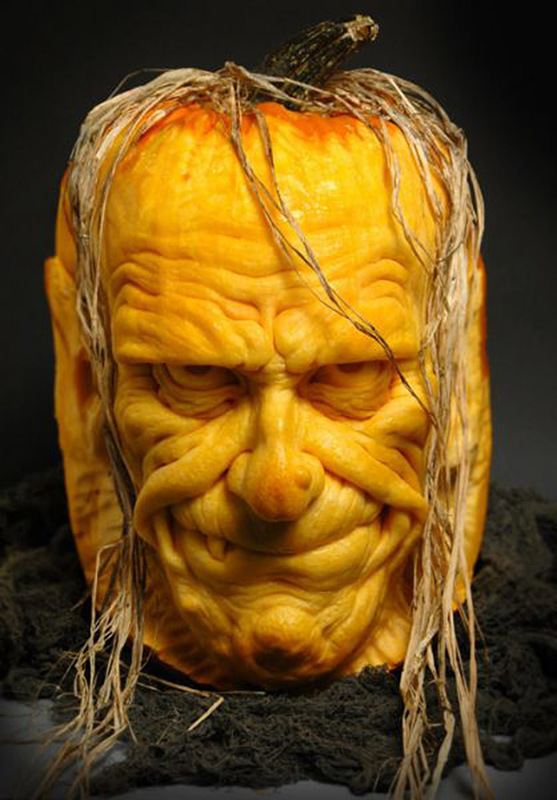 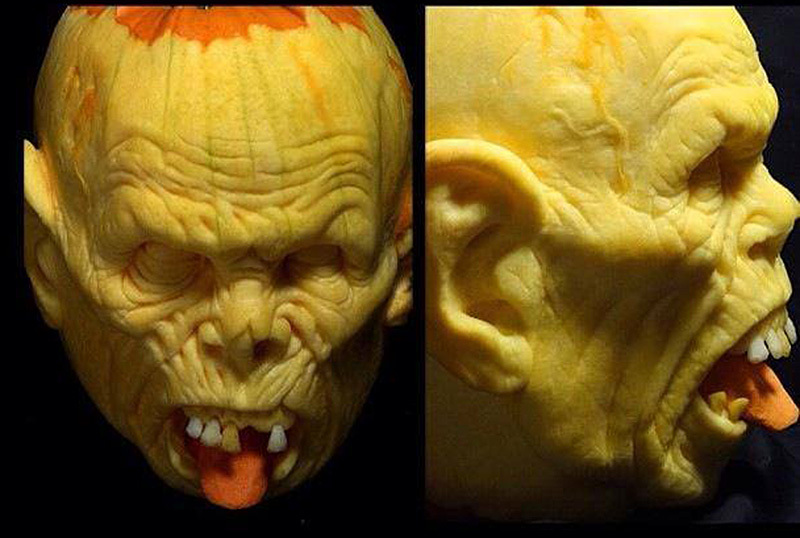 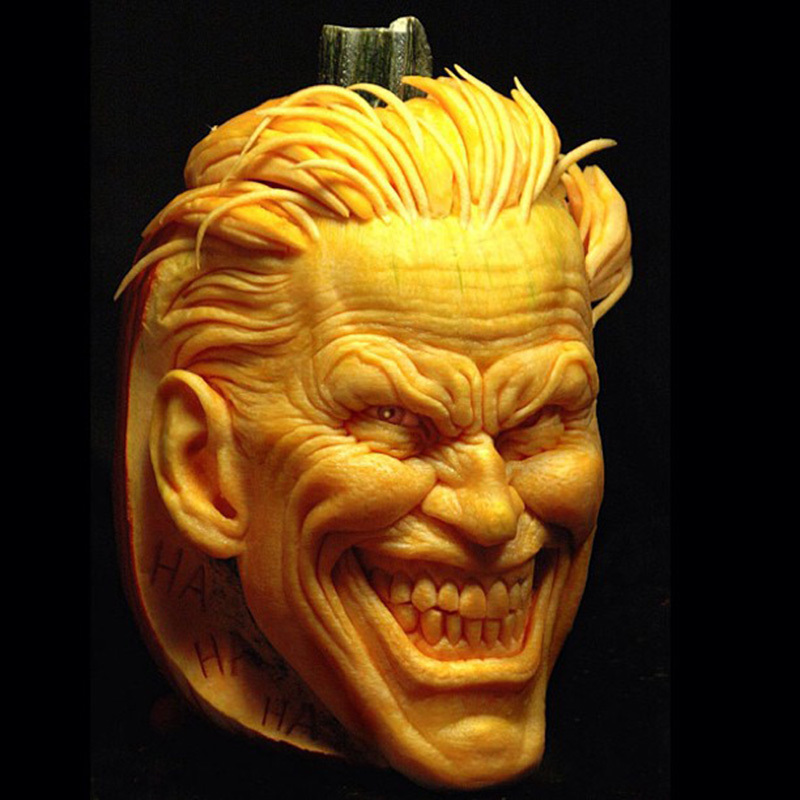 Ray Villafane is visionary and patriarch of Phoenix, Arizona's Villafane Studios, one of whose specialties is carving incredibly impressive pumpkins. 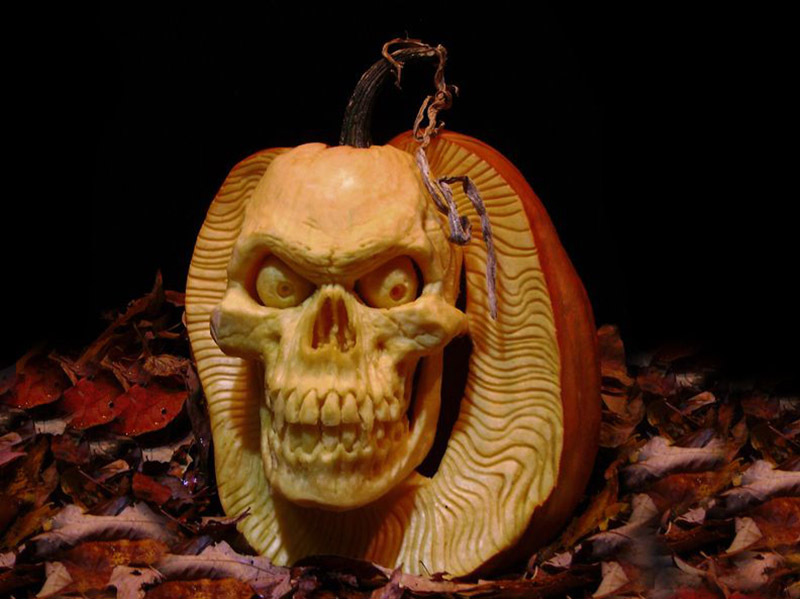 They also create jaw-dropping sand sculptures, props and toys. 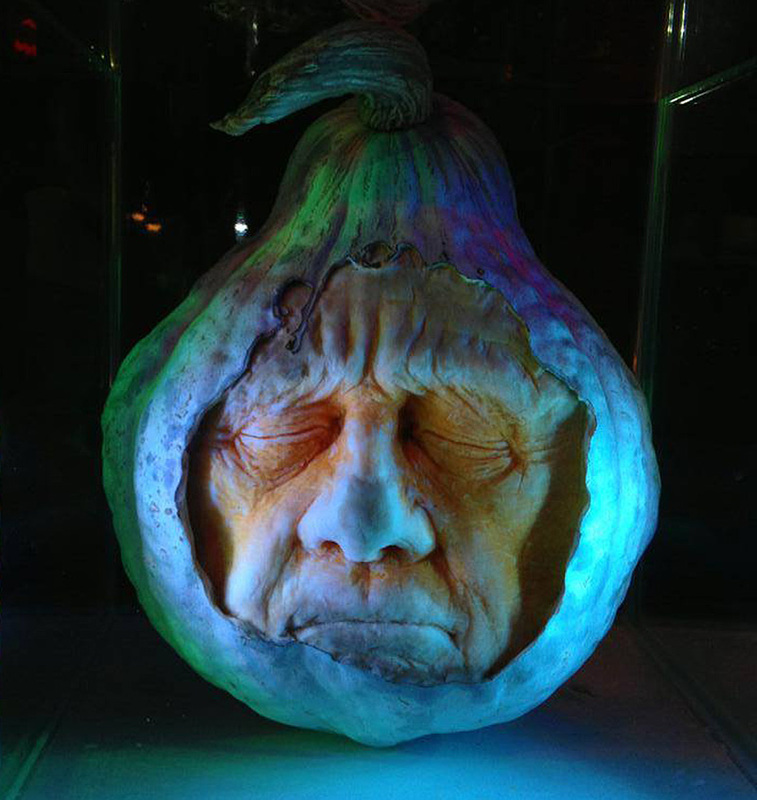 From carving for the President at the White House, carving for Heidi Klum’s Annual Halloween Party and along side Martha Stewart, Ray’s pumpkins have made their way across the world. 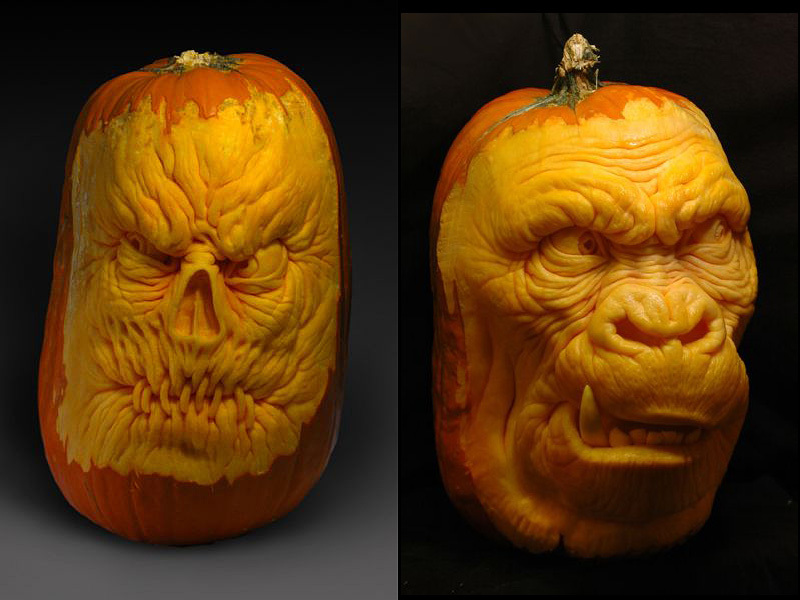 Ray partnered with the awe inspiring Andy Bergholtz, and together they built a “Dream Team” of amazing sculptors and have been carving away ever since. 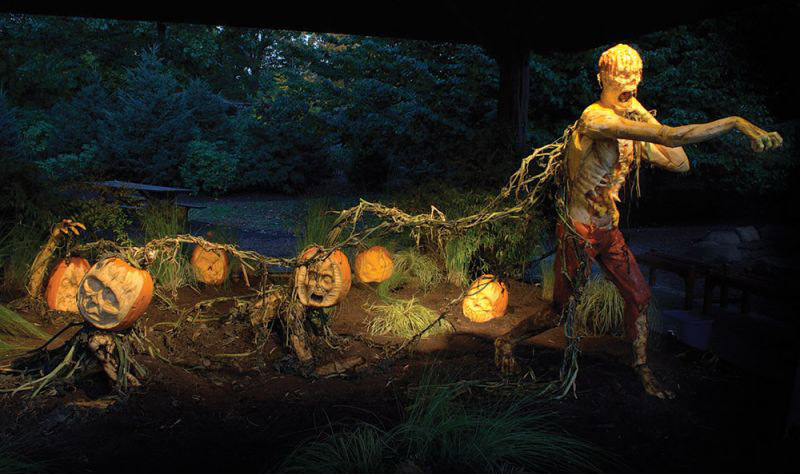 Other talented team members include Trevor Grove, Chris Vierra, Alfred Parades, Patrick Burke and Sue Beatrice. 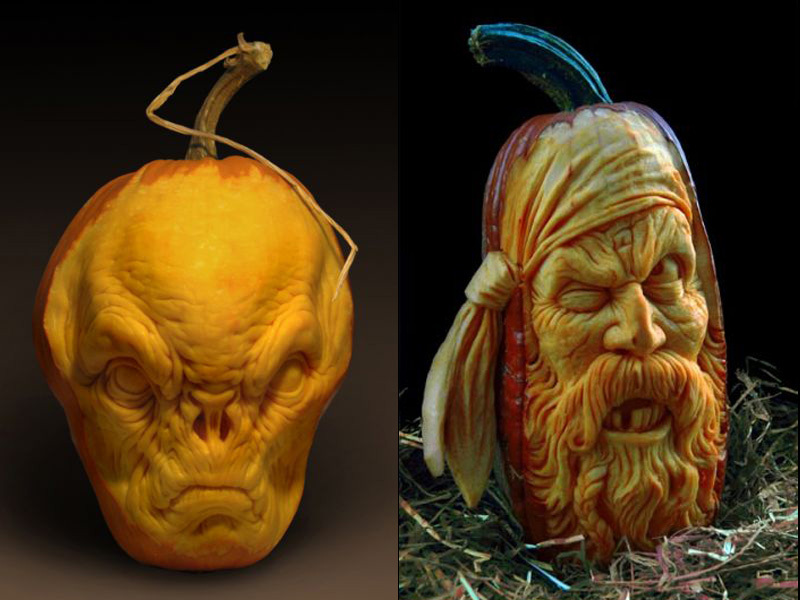 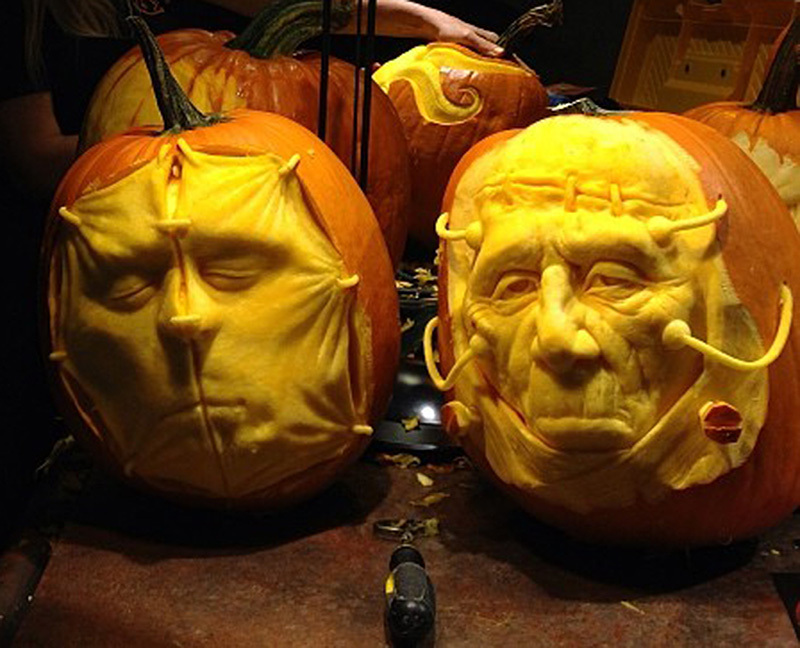 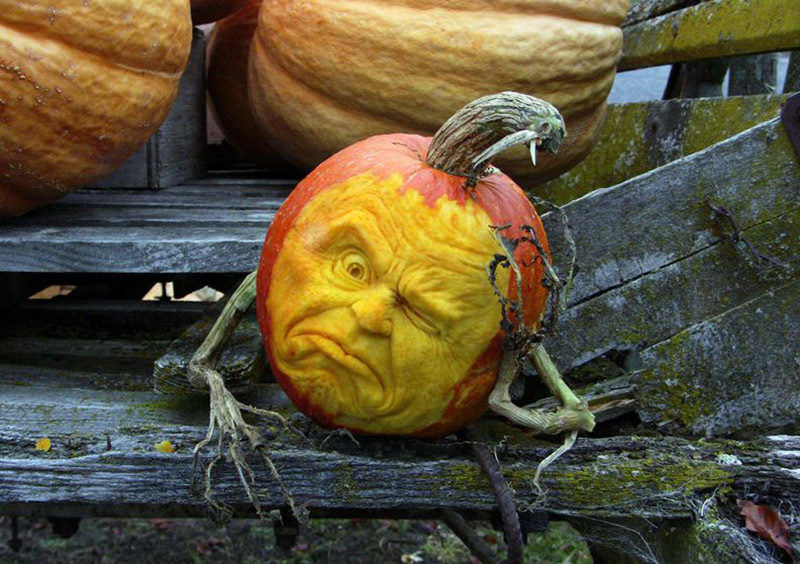 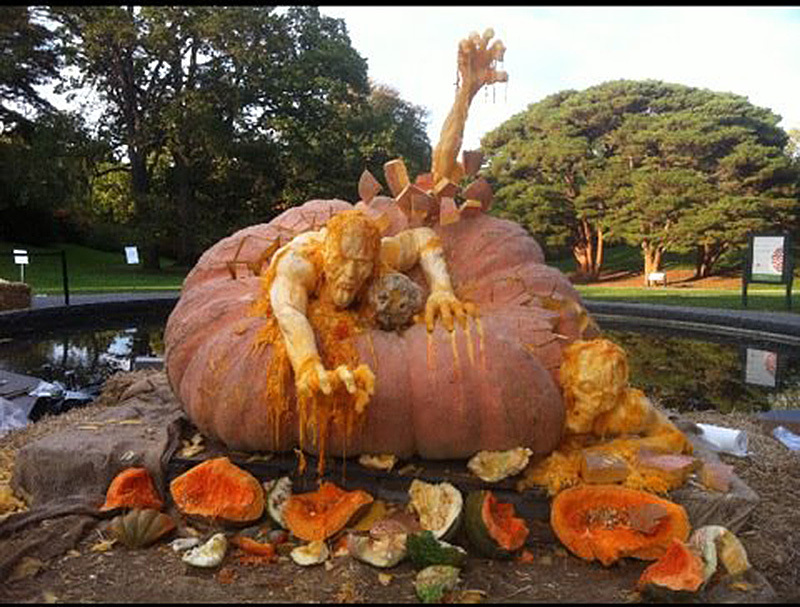 The beautiful pumpkins I'm sharing with you in this post have been carved by all of the aforementioned sculptors. 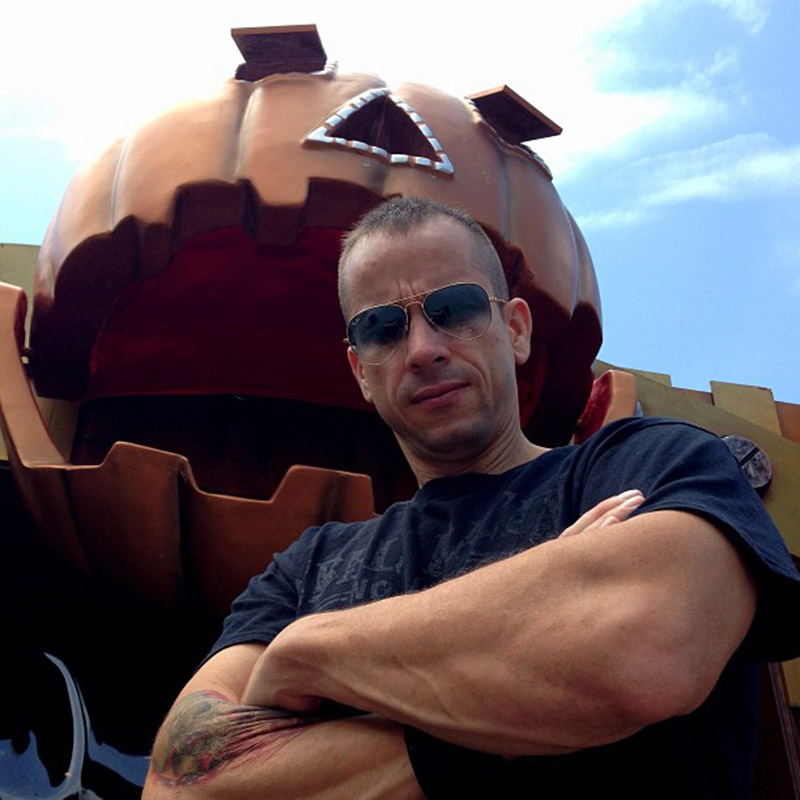 above: Ray Villafane poses in front of the studio built for him and his team in Hong Kong.